Schools need to invest time in developing a vision on “the purpose” of any new device and what it is they would like their students to create and achieve that this new technology will enable. Dialogue needs to be centred around the school’s vision and pedagogy focused on the learner. Once a clear vision and purpose is established schools can move forward and explore what different devices can achieve and weigh up the pro’s and con’s of each for their school environment. What best suits one school may not necessarily be the best for the school down the road so it is critically important that each school has their own clear vision. Each learner needs to have access to a device, that connects each them with their teacher and other learners, experts, with real-world contexts for learning, multimedia resources, software for learning and online tools and applications. Taking new devices out of boxes and configuring them to your school infrastructure is like Christmas Day. 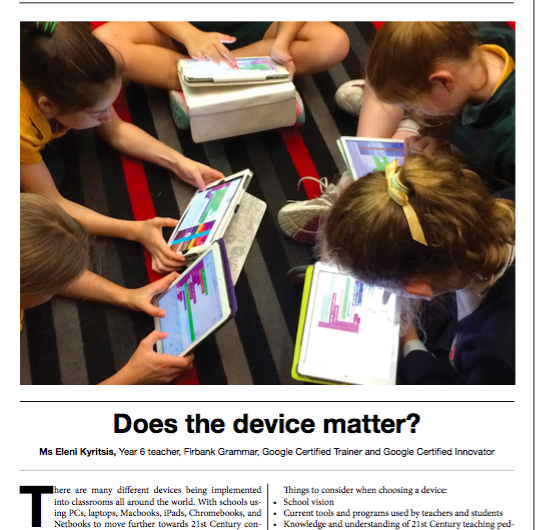 Students will be excited and intrigued to dive straight in and explore the possibilities of any new device. Some staff will be just as excited as the students though there will be many who will see these new devices and be hesitant to employ them in their classrooms. Staff need to be supported with structured Professional Learning to ensure any new device is used transformatively in their classroom. It is very easy for teachers that are not supported to feel unconfident with a new device and simply use it as a tool to perform old tasks the way they have always done. 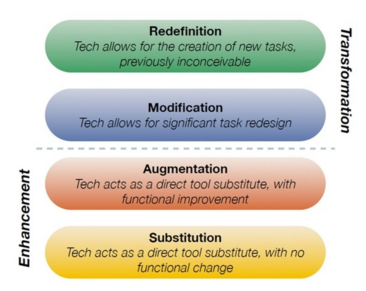 The SAMR model, developed by Dr. Ruben Puentedura, is designed to help teachers enhance their lessons through the integration of technology by focusing on designing lessons that are transformative. Teachers need to reflect on their lesson design and structure to ensure they that are using devices in ways that previously would not be possible. Teachers use a device to simply replicate what they are already doing or have always done. 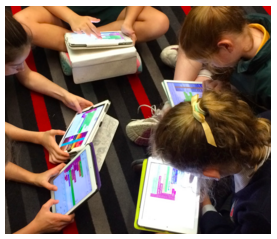 Students use an app to play a maths game that does not allow for teacher feedback or assessment. Students use Office 365 or Google Docs to complete a piece of writing, but do not share or collaborate. Teachers explore 21st Century tools to support their learning and explain their understanding but have no real input from others. Students create a document in Google Drive or Office 365 and share their work for only their teacher to view. Students create a tutorial using Explain Everything uploading it to Google Drive or Office 365 for the teacher to view. Students use the comment feature in Google Drive or Office 365 to provide instant feedback for both their teacher and other students. Students use Google MyMaps to collaborate as a class on one world map making connections to world locations. Teachers use technology to enhance lessons, connecting students with other schools, teachers and experts to transform thinking and understanding. 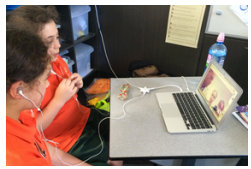 There are many lesson ideas that can be implemented that demonstrate transformative use of devices. It is all about teacher imagination and creativity of how any tool can be used to achieve this. Students develop their understanding of a question asked by the teacher or developed from student wonderings through the use of VersoApp. Verso App allows students to create a discussion with other students, sharing their opinions and expressing their ideas, all anonymously. Once students have developed their understanding, they can use Google Drive or Office 365 to collaboratively generate an inquiry investigation. Students can share their findings and investigations on their Blog or Digital Portfolio. The teacher can post the link on the class Twitter account to invite experts, the school community and other classes around the world to leave feedback. Lesson Idea 2: – Exploring and creating discussions related to the Class Novel. Many novels can be linked to different locations around the world. When a chapter or portion of the book is completed, students can work collaboratively using Google MyMaps to plot the journey/locations of the story. Students can add details and descriptions on each location from information discovered in the book. They could then make connections and research places or events. Students can also use Google Maps, Google Views, or Google Art Project to further explore the world around them related to the book. Classes are able to connect with authors via Twitter and conduct a Skype or a Google Hangout to develop questions and deepen their understandings on the text they are reading. Students can create a blog post of a book review, map, or interview with the author and share their findings with the world. Lesson Idea 3: – Developing Mathematics Concepts related to Data. Students can develop a survey using Google Forms as a group or class. The teacher can share the form via social media (Twitter, Google+ or Blog) so that the students receive real authentic responses. 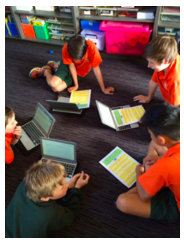 Students then analyse the data via Google Sheets and create a presentation collaboratively using Google Slide, PowerPoint Online, or Book Creator on what they have discovered from the collected data. Students could use the app Explain Everything to create mini tutorials on ways to sort and analyse data sets and make informed judgements. 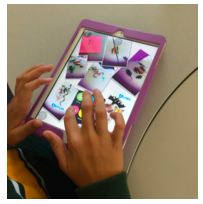 Books can be published to the iBooks store and presentations can be shared on their Blog so others can view their work. Many schools around Australia and the world have similar topics/concepts that need to be developed over the course of the year. A great way for students to connect is by linking with classes from other schools. 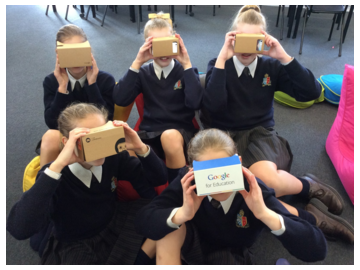 This can be developed by organising a Mystery Hangout or Mystery Skype. This allows students to develop and ask questions to find the location of the other class and where they are in the world. Once this has been developed students can be encouraged to build upon the friendship via class blogs and commenting and viewing other students work. Teachers can work to connect topics through inquiry, language or mathematics units. Students can work on projects collaboratively via cloud based programs such as Google Drive or Office 365. As well as sharing their discoveries and learning journey together by publishing books, Google Sites, Videos, tutorials or a sequence of lessons. The best ways to create a transformative classroom is by giving students choice. Students should not be told what tool to use to complete a task. They should be able to adapt their thinking and understanding of a learning outcome and be able choose the tool or mixture of tools they believe will allow them to create and produce work that shows their understanding of the outcome that they take pride in. This does not even have to include using the devices they have access too. The option needs to be the students so they can take ownership of their own learning. 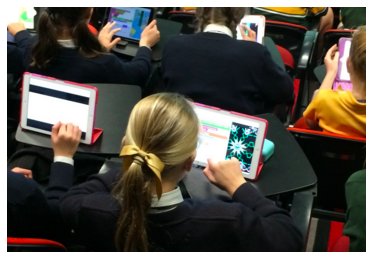 Digital apps and tools continue to develop and enhance teaching and learning. 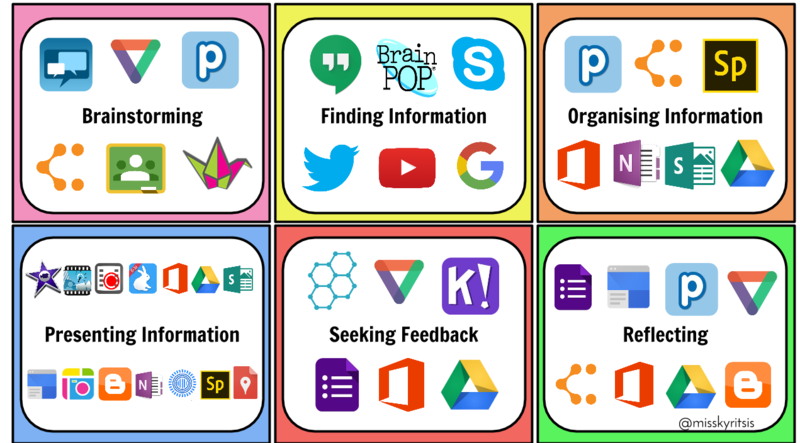 Here are some of my favourite apps and tools that I use within my classroom. *This app/tool has age restrictions. We know that students starting school today will graduate and go into jobs that are not yet created. As educators we need to prepare our students for this. Our role is not to provide the facts and answers but to allow our students to develop the skills to solve problems they are faced with and find answers to their own questions and wonderings. Ultimately, the device a school decides to purchase will not automatically enhance teaching and learning. The key to the successful implementation of any device is a teacher that transformatively integrates technology to support students in developing the skills they need for their future. Great read and very true.